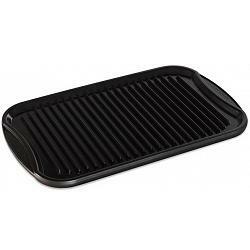 This reversible grill griddle from Nordic Ware was proudly made in the USA and boosts a 5 year warranty. The griddle provides a larger cooking surface to cook more food at once. You can use the grill side for burgers, steak, chicken and the flat side for eggs, french toast, sandwiches and much more. 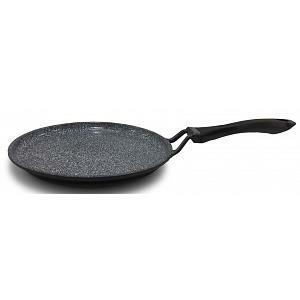 The reversible griddle is made from high quality cast aluminum and has the following dimensions: Interior: 17"L x 10.75"W x 0.63"H - Exterior: 20"L x 12"W x 0.75"H.